I took a little bit of heat from some fellow conservatives who completely believe that Paxton had no choice to back down at the last minute even after promising the day before that he would take it to the floor. I can understand the perspective of these fellow conservatives because they are going off what what they saw. They did not see some of the inside events that occurred before Paxton backed down from the Straus vote. 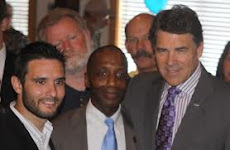 Several top, trusted conservatives who worked behind the scenes for Paxton to organize his run against Straus. These conservative have now come forward and explained that they were very hurt and betrayed when they were asked by Paxton to back start backing off of promoting the Straus vote well before the day of the vote. These conservatives say that Paxton made it clear to them that he was not going to push the vote all the way even though he was telling conservatives that he was going to take it to the floor. But hey, don't bash me for saying all of this. I am simply repeating what several top, trusted conservatives have come forward and proclaimed. [The documentation in these videos and posted on HouseOfStraus.com seems to indicate that even before Jan. 11, 2011, Ken Paxton already had plans to cave by not allowing his name to go forward to challenge left-leaning Republican Joe Straus for the Speakership. Did Ken Paxton get cold feet even before the Showdown on Jan. 11, 2011? Did Ken Paxton cave because he did not want his “buddies” in the House to get mad at him for forcing them into a roll call vote that voters could have taken into the voting booths in Nov. 2012 – a roll call list that would have made it plain to the public as to which House members were RINO’s and which were authentic conservatives? Did Paxton use the thousands of conservatives from across Texas, who rose up to participate in the Speaker Showdown, to further his own political career? Did he use the publicity of the Speaker Showdown to generate name recognition so that he could later run for the Texas Senate and then eventually run for the Texas Attorney General? Was this all a political gimmick on Ken Paxton’s part to launch his campaign for higher office? Casino entertainment for players to fully.